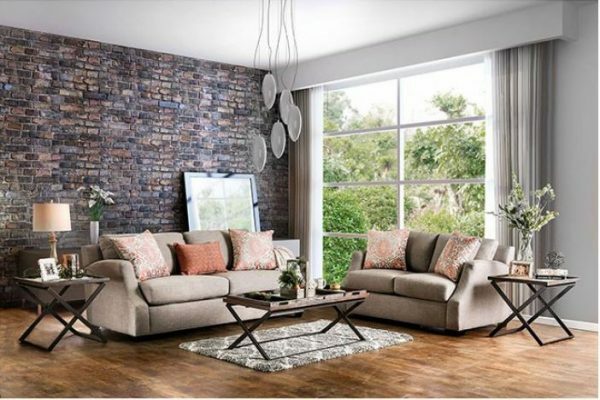 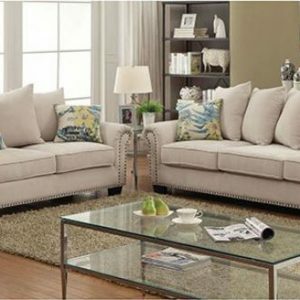 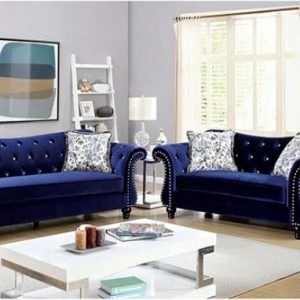 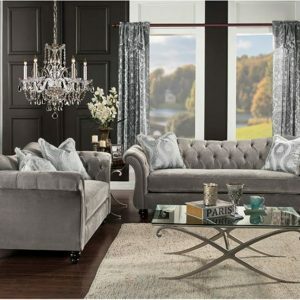 This contemporary style sofa set features clean lines with classic silhouettes to fit a number of décor styles. 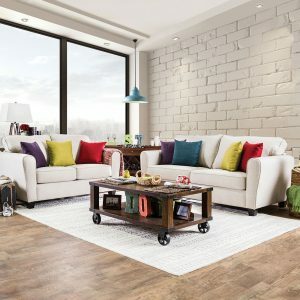 The luxurious chenille upholstery conforms to the body and provides a plush seating experience as multi-colored pillows catch the attention of friends and family. The track arms feature a sloping arched design for a stylish collection that will keep the whole family happy.